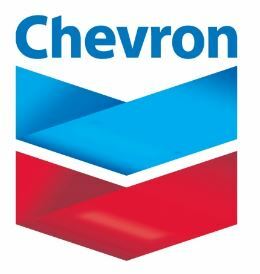 Chevron recruitment 2017 is accepting online applications for the position of Senior Finance Analyst located in Makati City. As a Senior Finance Analyst, you will have the opportunity to experience providing a full range of finance, accounting and analytical services to Chevron’s many business units. Our purpose for this hiring is to attract, develop and retain highly talented finance professionals with the potential for advancement to leadership positions. The successful candidate shall go through Chevron’s Finance Manila Development Program (FMDP). Understands business process risk and controls quickly and engages key stakeholders in resolving issues and closing process gaps. Ability to review processes, discrepancies and anomalies and recommends improvements by collaborating with affected work group and business partners. Can utilize understanding of systems interrelationship to be able to spot and correct errors. Identifies IT/system enhancements that will add value to the process. Effectively responds to ad-hoc and more complex questions and business events with foresight and awareness. Can provide coaching or assistance in the development plans of others. Ability to develop cohesive working relationships with co-workers and external customers/suppliers to facilitate the accomplishment of tasks requiring their involvement and support. Experience in one or more of the following systems an advantage: SAP, JDE, Hyperion or Ariba. Project management or audit experience. Application Deadline: January 15, 2017 at 11:59 p.m.